It hurts me to do this. But not as much as it hurts the pigs. Still, now you know how much I love you. I found a tearpad at Kroger today for $3.00 off of any fresh pork purchase. I may or may not have taken the entire tearpad. The coupons expire on Sunday. If you live close to me or go to my church and would like a couple let me know and I'll arrange to get them to you so you can get some free/cheap pork for your freezer. At CVS, all Vickery & Clark products have been marked down. The lip balm is now priced at $1.73. Use a $1 coupon from the last ReInventing Beauty magazine and get some great lip balm for 73cents! You can go here to check out all the marked down prices. Kroger is running a good deal on diapers this week. Buy any 2 packages at $8.99 each and receive $3 instantly at the register (when you purchase at least $15). 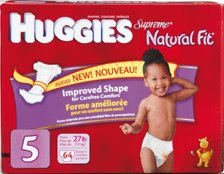 Use 2 $3 Huggies MFC's from here and get each package for under $5. Not a bad deal, especially since CVS has been lacking in diaper deals. Lastly, in the produce department, Kroger has single serve packets of Marzetti's dressing for $0.33. Use a $0.55 coupon and get 22cents overage. The most recent Marzetti's coupons have no specific size on them and do not beep when scanned. I know there are $1 coupons too, but I didn't try those last night. Watch out for clearance Starbucks chocolate! It was on clearance at my Kroger for $1.09 -$1MFC (they even restocked our Starbucks Chocolate MFC tear pad to-boot!) and Lindt chocolate bar clearance to $1.60-$1/2MFC in a recent paper makes for a cheap basket filler! Filippo Berio olive oil is 30% off this week and there are 1.00/1 hangtags on the bottles. Make sure you do the math to see which size will be the best deal-- when using coupons often times it will be the smallest bottle. I got (4) 8.5 oz bottles of Extra Virgin for under $2 each, which is over 50% off. lots of freebies Sunday and Monday only--happily, CVS sent me a 4/20 Q in my email so I have my scenario planned out -- i intend to buy the limit of each of the freebies (I will not reinvent the wheel but check out iheartcvs.com for the list or melissa's bargain blog for transaction scenarios)-totalling $24.93 use a 4/20 from my email and $6 worth of mfQs for a total of $14.93 + tax--I will put this on a gift card and get back $19.98 in ECBs. cool. meijer's got some nice deals with coupon match-ups this week too--I'll post what I see later (everyone's sleeping, so I should be too, but I had waaay too much caffeine today, so I'm up pumping a cafe au lait for my babe). CVS makes a small comeback! Hi everyone! This is Jill, I'll be helping out around here while Cassie is fixing her computer. I'm a fellow coupon-a-holic and have been known to drive over 30 minutes to get free noodle packets. Crazy? A little :) Never-the-less, I'm always on the hunt for a good deal....even on vacation! Last night I stopped off at CVS to grab some cheap cereal. Select Kelloggs cereal is on sale 3/$5 and combined with any one of the many $1/1 coupons out there makes each box $0.67. My awesome cashier let me do the deal twice so I got 6 boxes of cereal for $4. The choices include: Rice Krispies, Raisin Bran, Fruit Loops, and Apple Jacks. Not the healthiest choices, but they make great donations and wonderful classroom snacks! Or, vacation breakfast! Helping pinch hitting for Cassie and hoping all the computer issues get fixed QUICKLY! Thanks, Jill, for your help getting these freebies lined up. also, I can't find the Meijer Naturals laundry Detergent anywhere at my store, but they are remodeling and everything's all wonky--anyone know if this got discontinued or something? also, did they do away with the bag credit? i haven't gotten a bag credit in at least 6 months--I always forget to ask. My hard drive crashed, dudes. I won't be blogging much for the next few days until it gets replaced but I'm working on getting some other folks to keep things updated in my absence. In the mean time please pray for my CVS spreadsheets, that they may be resurrected. Oh, and the photos and videos of my kids too. Yeah. This week at Meijer Kraft 16 oz. salad dressing is on sale for 1.58. There were 1.50/1 coupons in a recent paper, or you can go here to print a 1.00/1 (you can do this twice). Then, go to Mealbox to print two more 1.00/1 (make sure it's for the 16 oz. size). You can use two coupons per item to get the dressing free, with a possible .42 overage per dressing. Lots of good stuff this week, and someone couldn't wait to try those apples. Buy 2 Nabisco crackers @ 2.50 each, get 3 Kraft chunk cheese for 1.00 each. Limit one per transaction. There are various coupons that would make this a good deal; I used two 1.00/1 Ritz printables combined with two 1.00/1 Mealbox qs, plus a 1.00/2 Kraft cheese q to get the Ritz for .50 each and the cheese for 2.00 total. Mott's apple juice is 2.19. Use 1.00/2 Mealbox q to get them for 1.69 each. I had a .50/1 coupon for the Mojo bar which made it .09 and I used my BOGO coupon on the Wheat Thin Artisan crackers to get two boxes for 2.50. Oh Target, you never disappoint. Paid the balance on a gift card, spent nothing out of pocket. I am a Whole Foods dork. I totally went to Whole Foods twice today. TWICE. In my defense it is less than two miles away but still. We are probably dying from swine flu over here and I'm concerned about getting as much free Lassi, Thai Kitchen noodles and cheap Terra chips as I can before the sales turn over on Wednesday. But ALSO I really did need some medicine so the overage and bag refunds were a good way to get it discounted. Missing from this picture is a half gallon of Organic Valley milk, a Lifeway Lassi and a box of mac and cheese. Because I forgot. Give me a break, I'm siiiiiick. Just over $20 of that was medicine which kind of throws things off this week, but it is what it is. You'll pay just $3 for two boxes of Ritz and three Kraft chunk cheese bricks. Terra Kettle chips- 67 cents at Whole Foods! Terra Kettle Chips are on sale, 3/$5 at Whole Foods. There was a coupon for 1.00/1 in the 5/3 paper, making them .67 each. I went to Benjamin Moore on Stadium to pick up paint for Iris's room (who paints their house when it's on the market? Crazy people, that's who.) 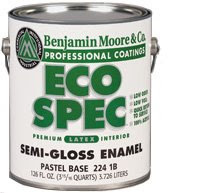 and this Eco Spec paint was on clearance for five dollars a gallon. It retails for over fifty bucks normally! Eco Spec is low-odor and low-VOC which means it's better for the environment. I'm not sure if this paint is clearanced at all Benjamin Moore locations or just here, but if you have painting to do give 'em a ring and see what's up. CVS moneymaker next week. FINALLY. If you've been clipping coupons for some time but haven't yet started at CVS, next week would be a great time to start. Starting Sunday, Bayer Contour meters are 14.99 and generate 5 ECBs. There were 30.00/1 coupons for the meters in 10/26/08, 2/1/09 and 3/22/09 paper inserts. The coupon will adjust down, making the monitor free and you'll get back 5 ECBs for tax. You can do this deal twice. If you don't have the coupons you can purchase them from The Coupon Clippers. They cost a dollar each with a $3 minimum order (plus shipping/handling fees) and should get to you sometime next week. If your CVS is out of meters by the time you get the coupons you can always get a rain check and go in later on. Even after spending just over three bucks for the coupons you're still going to walk away with 10 ECBs which is about a six dollar profit. Thanks to I Heart CVS for the ad scan and heads-up. 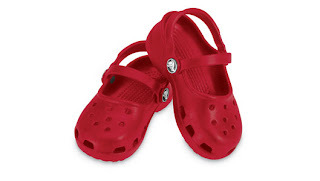 Crocs is running a Mother's Day special on select women's and girl's shoes, buy two or more and get half off. (Essentially BOGO if you buy two.) I scored two pairs of Mary Janes for Iris for less than $20 shipped. Use code TRYCROCS08 to get free standard shipping. Target is getting cooler than CVS. Get back a $5 gift card. I used the gift card I scored from the Special K promo last week, so got these candles for nada and got another $5 gift card back. (2) organic McCormick oregano @ 3.05, used .75/1 and 1.00/1 from recent papers, and also used 1.00/2 Mealbox coupon to get each for about 1.68. (3) Pam olive oil cooking spray @ 2.00, used (3) .35/1 and 1.00/3 Mealbox q to get them for about 1.08 each. I talk a lot of trash about not going back to Whole Foods but the truth is I just can't stay away. I got a super awesome cashier today who was able to push my duplicate coupons through with no problems and I was even able to give her a mini coupon lesson when she commented on my savings. The kids got stickers and a fun time was had by all. Also, I bought newspapers on Sunday. Total was 3.50. Kroger wants you to design a reusable shopping bag. For submitting a design, a .99 credit will be issued to your Kroger card for a free reusable shopping bag. Simply pick up a bag for .99, scan your card and it's free. You must redeem it within 30 days. I designed my bag and it was fun. It felt a little Scrapblog-ish. I couldn't possibly be less efficient if I tried. I don't know how many trips I've made to various stores this week but really, it's kind of sad. Thankfully they're all within a few (2-3) miles of my house so it's not like I have to go very far but still. Inefficient. I went to Meijer to get cheap pasta but I never would have gone had I realized that the only ones included in the sale were macaroni noodles and spaghetti. Boring. Total for this was 2.00. Went back to Whole Foods to make some money towards an organic seedless personal watermelon for Ocean. He has been eyeing watermelons for the last week and I wanted to treat him. Used my .18 overage (.10 bag refund and .08 from the Thai Kitchen) towards the 3.99 (!) watermelon, so I ended up paying 3.81 for this. Decided to go to Rite Aid after perusing the ad for the week. I had picked up a rebate form for Organix shampoo a few weeks ago and I'm glad I held onto it. Organix was BOGO free this week at Rite Aid. So after rebate both will be free. I also found this new organic/sulfate-free/paraben-free conditioner by Samy, also free after rebate. I already put the forms in the mail with my receipts (the key to rebates is sending them in right away so you don't forget about them) so once I get those checks in the mail in 6-10 weeks I will have ended up paying just .90 tax for these. Do I have a life? Absolutely not. I spent the better part of my Friday going back to Whole Foods as well as making a Kroger and Target trip. These sales go through Tuesday. Barbara's cereal is BOGO free. 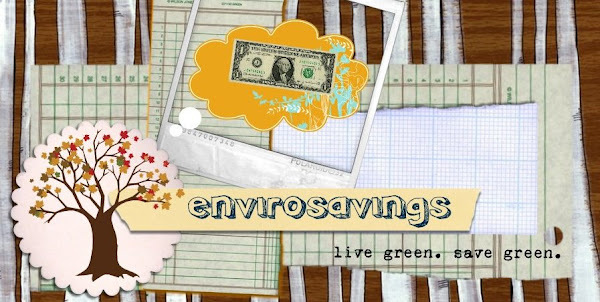 There are 1.00/1 coupons in those Go Organic coupon booklets in the natural foods section. My friend Jill hooked me up with three of them last night and I found a bunch more today at the Kroger on Industrial. (Maple Rd. doesn't have them.) Anyhoo, I used two coupons. This sale goes through Sunday. I learned about this deal from Carrie at Shoplifting With Permission. Go here to see how it works. Target has Special K on sale for 2.39. When you buy 5 Special K products you get a $5 Target gift card. I was able to print four Special K coupons (Money Saving Mom has the links here) to bring the cereal cost down to 1.39 a box. Then I paid with a $5 Target gift card that has been collecting dust in my wallet. Total spent: 2.95, and I got another $5 gift card. This sale goes through tomorrow (Saturday). There are some very good deals this week at Whole Foods, with one major annoyance. It seems that the registers are programmed to only accept one like coupon per transaction; subsequent coupons beep and need manager approval. So my couponer's high was cut short by having to explain coupon wording to my cashier, and then to the manager. Sigh. I think I'll be calling customer service to see if they plan to fix this anytime soon, otherwise I'll really be limiting my shopping there from now on. I really don't want to have to do multiple transactions with a cashier... that's why the good Lord invented U-Scans after all. I also got a .20 bag refund.